Known for 'Holding the line between fire and fynbos', the Volunteer Wildfire Services is famous throughout the Cape for its sterling work. It is with great pride that we can announce that as a boutique agency in the Western Cape, we have partnered with this phenomenal non-profit organization in their quest to raise awareness throughout the Western Cape. The organisation aims to educate citizens on the importance of placing calls through to emergency response teams once a fire has broken out. These important toll-free numbers are 107 from a landline and 021 480 7700 from a mobile phone. 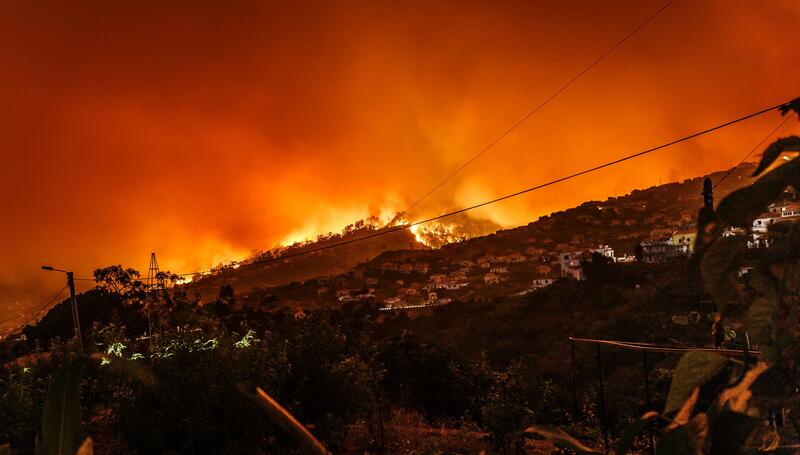 Director of Greeff Christie's International Real Estate City Bowl, Atlantic and Western Seaboard Ryan Greeff weighs in on the decision by the brokerage, "The Volunteer Wildfire Services have been a shining light for citizens of the Cape. After surviving a difficult fire season during the summer months of the Cape, there have been unfortunate incidents of fires raging throughout our veld and more dry areas that have not only affected the livelihood of the communities in those areas but also the lifestyle of those living there. Greeff is exceptionally proud to have partnered with such an organisation that believes in the power of giving back to the community and the country as a whole." ● To cultivate a pro-active society that understands that prevention of fires is half the battle won and is infinitely better than reporting a fire once it has already occurred. ● To raise and spread awareness of the vision and mission of the Volunteer Wildfire Services and their objectives. ● Protecting the heritage of South Africa's fynbos, property, and precious mountain water catchment areas. ● To aid and monitor wildfires as they progress so as to assist when needed. "Greeff Christie's International Real Estate is of the opinion that the good work done by the Volunteer Services is to be celebrated and with their Headquarters situated in one of Greeff's most prominent and active areas, Newlands, a partnership with the Volunteer Wildfire was a natural choice. "Our initiatives and values line up with theirs and by partnering with this brand, we can team up to offer the community insights that are increasingly valuable on a topic that everyone needs to be educated on," says CEO of Greeff Christie's International Real Estate Mike Greeff. 1. Make a donation through Secure Donation Services by SMSing your name and VWS to 41006 to donate R25. 2. By visiting the www.vws.org.za website to find out how you can contribute. 3. By visiting the VWS online store to help fund the operational costs of the Volunteer Wildfire Services. Greeff Southern Suburbs and Greeff City Bowl, Atlantic and Western Seaboard are proud to come on board as sponsors for upcoming events for the Volunteer Wildfire Services. The first of two events include a Groot Constantia Fun Run sponsored by Greeff Southern Suburbs and a Trail Run sponsored by the City Bowl, Atlantic, and Western Seaboard office. Greeff looks forward to the events in 2019 promising to be great fun and most importantly, for an incredibly worthy cause.